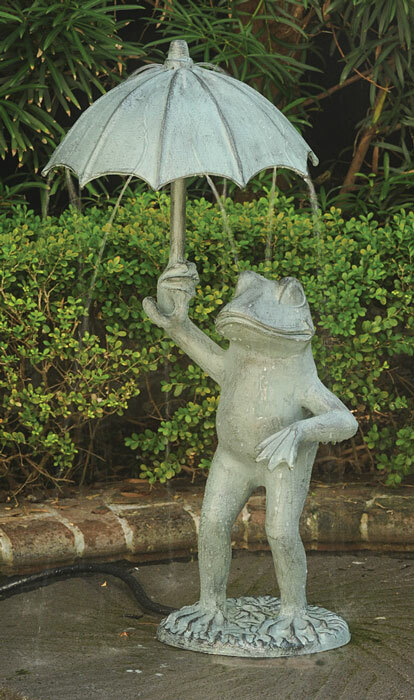 The aluminum frog statue waters the garden while bringing smiles to passersby. Pump included. Tubing varies per location and can be purchased at home improvement centers. Regularly $275, one available for immediate shipment at 40% off. Additional pieces available at full price.